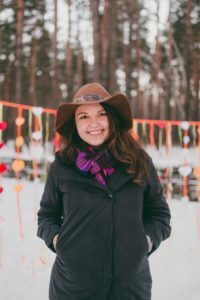 I moved to Moscow really long time ago and now it is a bit difficult to choose only 10 places in Moscow that are the must to visit. I have chosen the top 10 attractions that you can (and have to) visit if you are going to stay just for few days. The Red Square is beyond competition. This is no doubt the main symbol of Moscow. The Red Square is very important in history and politics, in the life of our country there is so much connected with this place. Walk through the square, imagine how the life of Russians has been going on here: all executions, troubles and riots, imagine the time when the square was a market and there were sellers of meet, fish, vegetables and even clothes. Also all the festivals were celebrated on the Red Square, thousands of colorful parades. 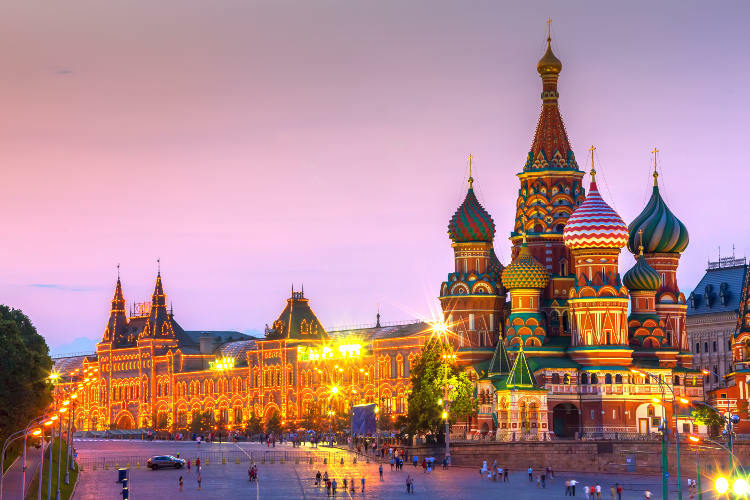 And also around the square you will see the attractions included in the UNESCO World Heritage List: beautiful St. Basil’s Cathedral, the Monument to Minin and Pozharsky, the necropolis near the Kremlin wall, Lenin’s mausoleum, the elaborate and spectacular building of the State Historical Museum, similar to the luxurious tower, as well as the Moscow GUM. The Moscow Kremlin is also called as just Kremlin. It is a fortress in the heart of the city which or several centuries was a grand ducal and royal residence. Today it is the official residence of the President of the Russian Federation, as well as the main socio-political, spiritual and historical-artistic complex of Moscow. 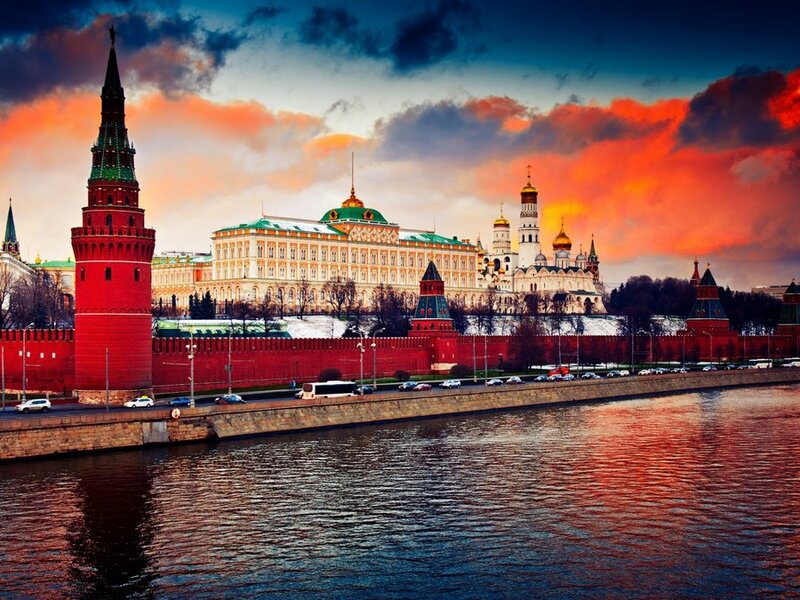 For all Russians, the Moscow Kremlin is truly a national sacred place, a symbol of Russia. Inside the Kremlin you can feel the power and beauty of high walls and towers, the solemnity of churches and chambers, the majesty of palaces and grand buildings. On the territory of the Kremlin you will find the Armory Chamber and the Diamond Fund, the main repositories of Russia’s historical values. And the objects of the World Heritage are the Spassky Tower, the Great Kremlin Palace, as well as the Tsar Bell and Tsar Cannon and some others. Poklonnaya Hill is located in the western side of Moscow. It has a park full of walking areas (Victory park) and a huge memorial complex (also highly recommend to visit). 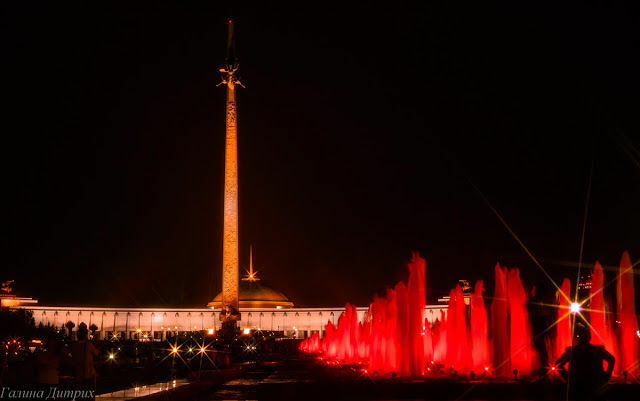 The memorial complex includes the main Victory Monument, the Central Museum of the Great Patriotic War, an exhibition of military equipment and weapons in the open air, which includes an exhibition of military equipment of the Navy and the railway troops. And also the church of St. George the Victorious and a memorial mosque in memory of the fallen Muslim soldiers. In the evening, fountains and couples are beautifully lit here, and in the afternoon Poklonnaya Hill is a favorite place for skaters and skateboarders, as there are many good asphalt tracks and slopes. Bicycles, scooters or rollers can be rented. And the children adore attractions, stylized during the war era. The Cathedral of Christ the Savior is in the heart of Moscow, next to the metro station “Kropotkinskaya” and very close to the Kremlin. In fact, this is the main temple of Russia. 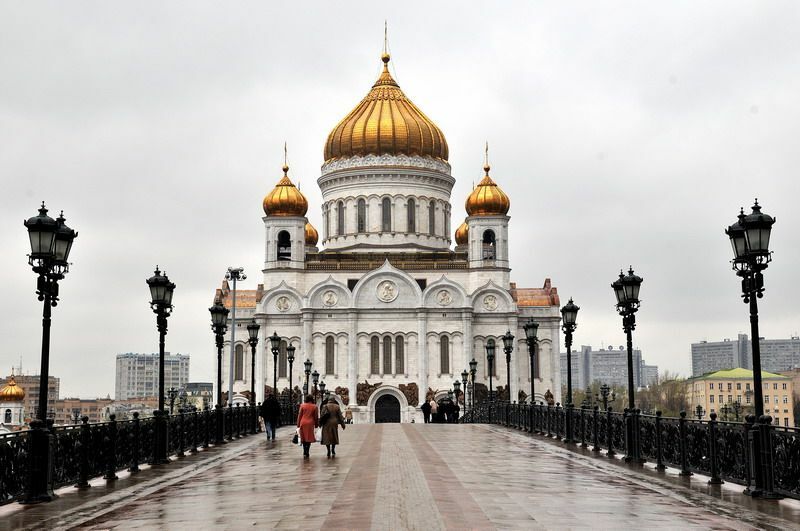 The Cathedral was built to commemorate the Russian victory over Napoleon but was demolished in 1931 by the Soviet government. Tin the anti-religious campaign in 1931. At this point, they planned to build at least a huge Palace of Soviets but because of the world War II it wasn’t built. Eventually, on the site of the blasted temple was built an open swimming pool “Moscow”, which lasted until 1994 and was known for its unsanitary conditions. The current cathedral was constructed between 1994-2000 and is an exact replica of the original one. 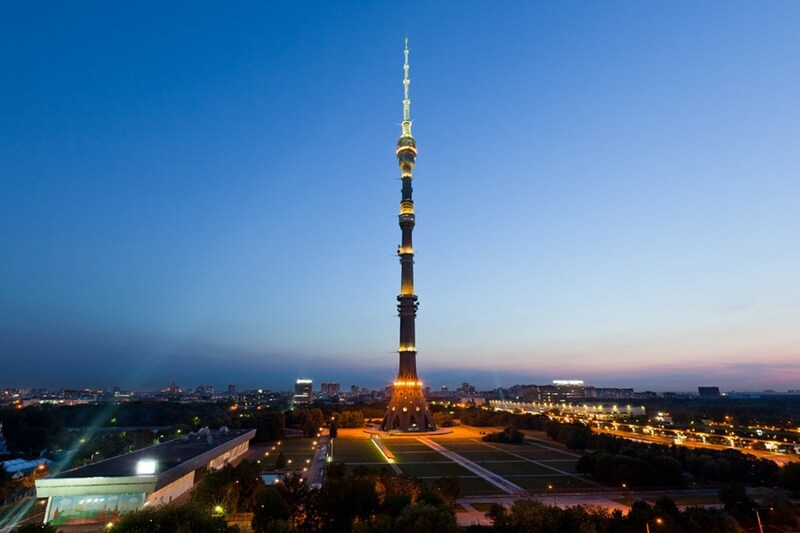 Ostankino TV tower is the eighth tallest building in the world and the highest in Europe. If you want to see a panoramic view of Moscow don’t miss it. But do note that the capacity of the two viewing platforms of the TV tower is not much so it is better to book a ticket on the Internet in advance. From the TV tower it is good to watch the salute, and also they like to make romantic dates, make offers of the hand and heart and even play weddings. Just below the observation platform there is a restaurant floor. It rotates around the tower so you can see the view of the whole city while having a dinner or lunch. We say if you have been to Moscow but haven’t been to metro you haven’t seen the city. The moscow metro also known as a metropolitan is an underground subway with a whole system if lines, transfers, stations and of course passengers. It has its own tense rhythm, laws, secrets and legends. If you are low on budget I suggest you to go down and see the stations yourself. But better go during the day to avoid the rush hours. But if you can afford taking a Moscow Metro tour you will never regret it because there are a lot of hidden stories to hear. 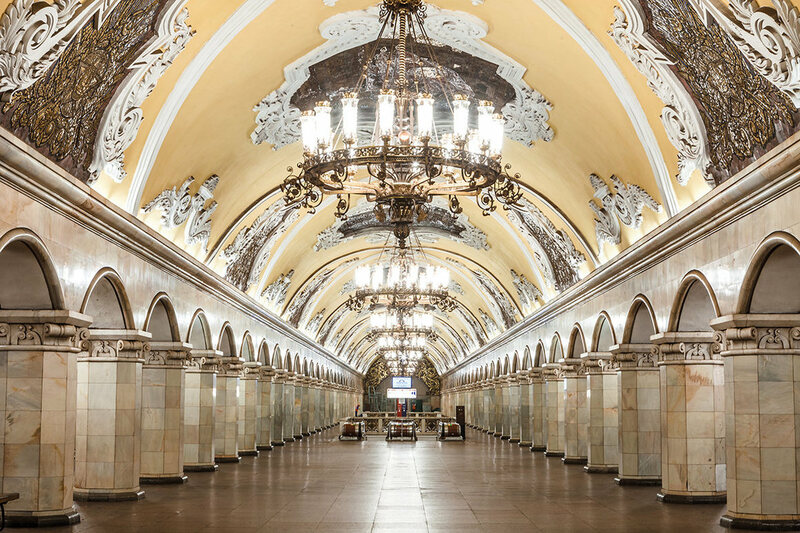 In any case, I highly suggest to visit the oldest metro stations some of them are real masterpieces: Mayakovskaya, Ploschad Revolutsii, Kievskaya, Kropotkinskaya, Kurskaya, Komsomolskaya, Novoslobodskaya and some others if you have time. VDNKh or, in another way, the All-Russia Exhibition Center is actually a huge park with different but yes interesting to see buildings around it. When it was constructed each building represented one of the republics of the Soviet Union and all together it was the biggest expo platform of the country. Even now you still can see the names of ex-republics of USSR on some of the buildings. 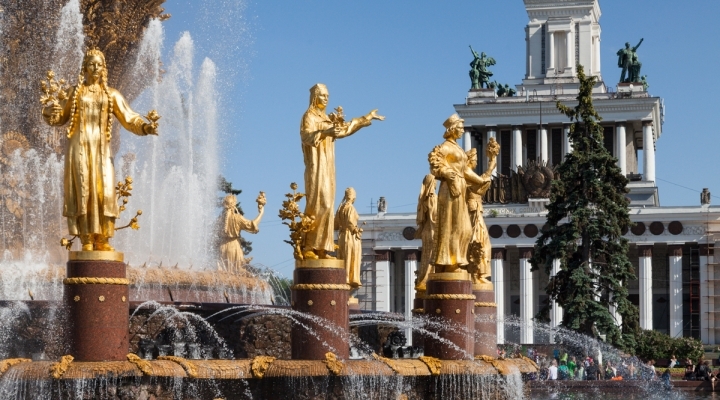 Also there you will find a famous fountain with golden women. Each of the women there has a typical look of her republic and they are standing there together showing us the friendship of united nationalities. And near the northern entrance of VDNKh you will see a huge sculpture “Worker and Kolkhoz Woman” well-known among Russians because all the soviet movies by Mosfilm started with it (like 20th century fox starts with a sculpture too). In addition to all the architecture there is always something to see and do. There are many expositions, a cinema-lecture hall, a green theater, in June-July there are free master classes on yoga, hustle, breakdance in winter there is the biggest skating rink of the world. Of course, not all people are great lovers of fine arts. 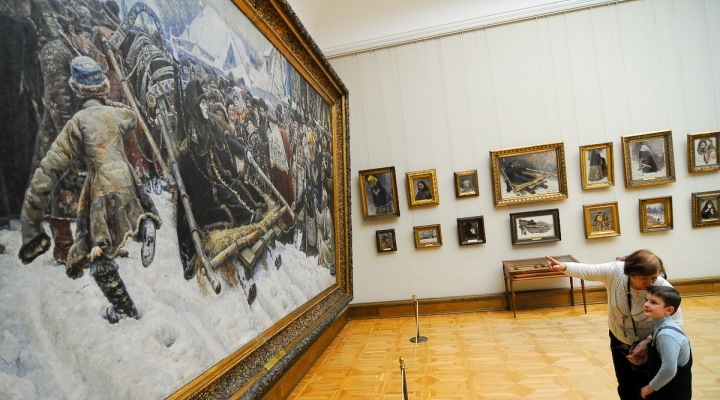 But this art gallery is worth visiting at least for the sake of saying: “I was in the Tretyakov Gallery!” The Tretyakov Gallery is a collection of true masterpieces recognized throughout the world. Every Moscowite has been there at least once and no doubt that there you can find pieces of art that are famous all over the world. Go there and check if you can find anything you know or have seen before. For those who want to save money on the ticket I will write more detailed how you can get there for free and avoid the lines. 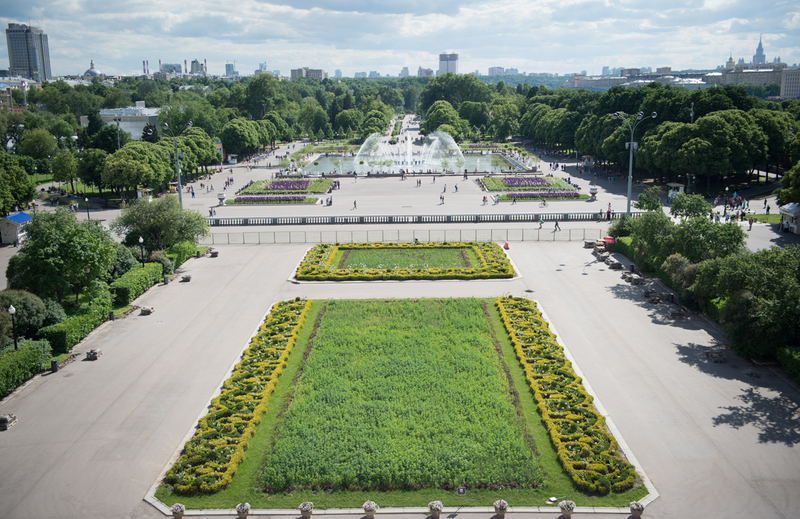 The Gorky Park is an excellent place for walking and various leisure activities. Inside the park you will fin a lot of things to do: a lot of sports zones, food courts, lawns with deckchairs, hammocks and pouffes, bicycle paths, bicycle rental outlets, scooters and rollers, and other sports equipment. Gorky has always been Moscow’s most visited park since the 1920s, citizens come there to enjoy the time with friends and family, to ride a bike together, to stroll around, to take a boat ride on a lake, to dance on a river bank, to watch sunset… There are three children’s entertainment centers with a mini-zoo and master classes, a business center with Wi-Fi, an outdoor cinema and much more. Each season the park is decorated in a new way, masterfully using lighting, garlands and other illumination. In the winter, there is a skating rink, in summer there is a beach. This park with almost a century of history has become fantastically lively and interesting after the reconstruction in 2011. It is always different and must visit for sure. If you stay in the city for a week or more I recommend you to visit one of the Moscow manors: Tsaritsyno, Kolomna or Kuskovo. 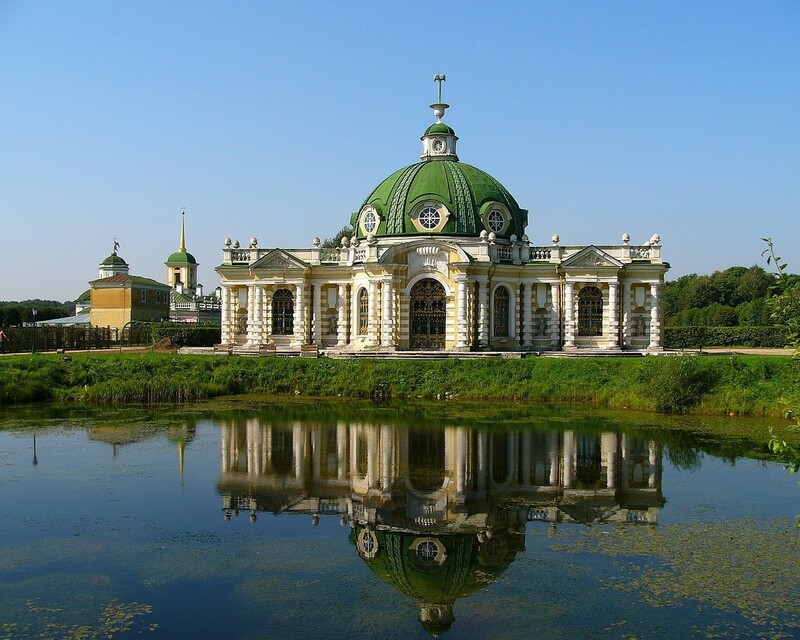 The most visited in recent years is the estate of Kuskovo, which experts call the “Russian Versailles”. It is very nice to stroll around the park, discover the palace. And also the Dutch and Italian houses, the Great Greenhouse, the Grotto and the magnificent exhibition of porcelain in the American greenhouse! From May to August in Kuskovo there are also concerts of classical music. Thanks for providing such a detailed information. Great read! !